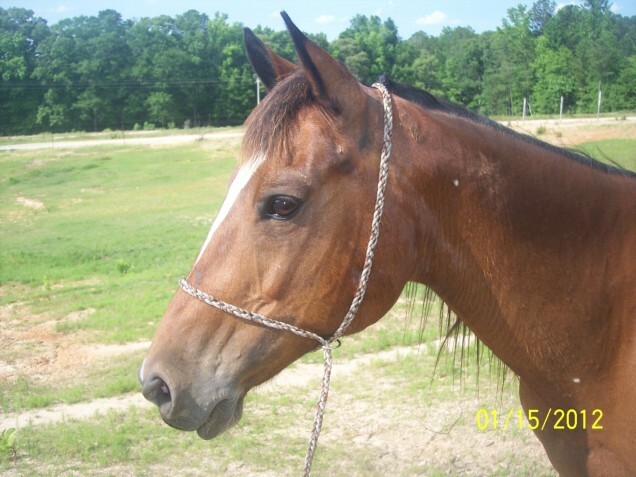 La Pasion Paso Finos LLC is a full service horse farm that is located in central Alabama. We offer sales, breeding, riding lessons, horse camps, and horse training for all types of horses. It is owned by myself, Tiffany Williford Norris. I have owned, ridden, and shown horses my entire life. 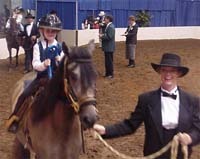 I began my show career on a miniature horse named "Tiensie" in the lead line class.I continued showing throughout my school years in Western Pleasure, Halter, and Equitation. After High School and College, I began barrel racing and other timed events. I competed in the rodeos for several years. I still train other breeds of horses and offer riding lessons in other disciplines that I have experience in. I realize that one breed of horse is not for everyone and that each individual may not be interested in the same type of riding. I still love to help individuals with the type of riding that I have also enjoyed throughout other periods of my life. 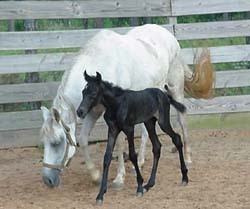 However, I have found the Paso Fino breed to be my personal breed of horse. Around 1998, I was introduced to the Paso Fino breed by a special man named Richard Kottmann. We started La Pasion Paso Finos and after his death I continued it. We have been blessed with several National Championships and National High Point Awards since we began. I have never felt so passionate about one particular breed of horse. After one ride I was sold. The Paso Finos are intelligent, personable, responsive, and full of life...plus the added bonus of being the smoothest horse in the world. They have the ride of the Cadillac with the responsiveness of the sports car. If you would like more information about this breed or need help with any other type of horse then please contact us at La Pasion Paso Finos LLC. We would love to introduce you to our Passion at La Pasion! At the farm, we ride horses every day. After years of cleaning leather and having broken tack that had to be thrown away because it could not be fixed, I have started making my own tack. I started making this horse tack a year ago because I wanted to see how I liked it before I started offering it for sale. I have been very happy with this tack and now it is all we are using. Paracord is very strong with a test strength of 550 lbs per cord and is very easy to clean with mild soap and water. The reins are all attached with conway buckles and trigger snaps. 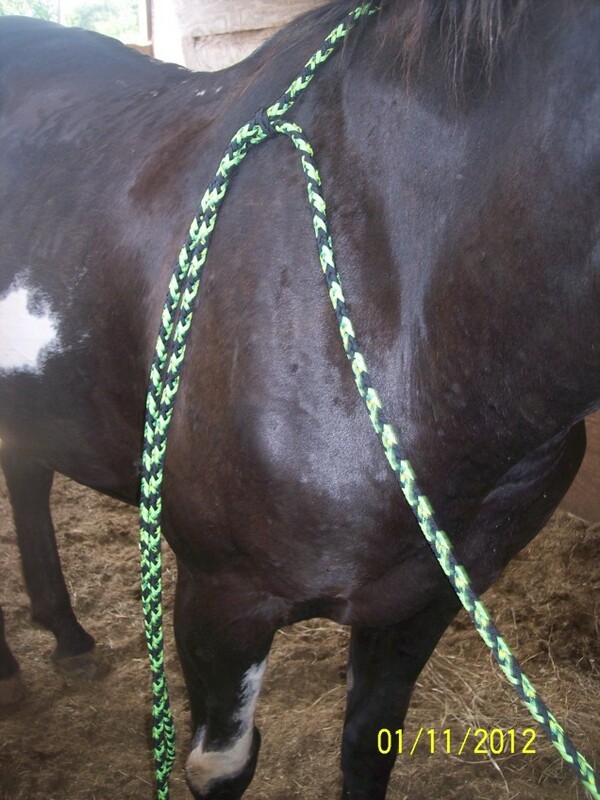 That way if you tie your horse up the reins can very easily be taken off the bridle. If a horse steps on the rein and breaks the snap you can replace the snap instead of throwing the reins away. The cross ties and trailer ties also have conway buckles for the same reason. 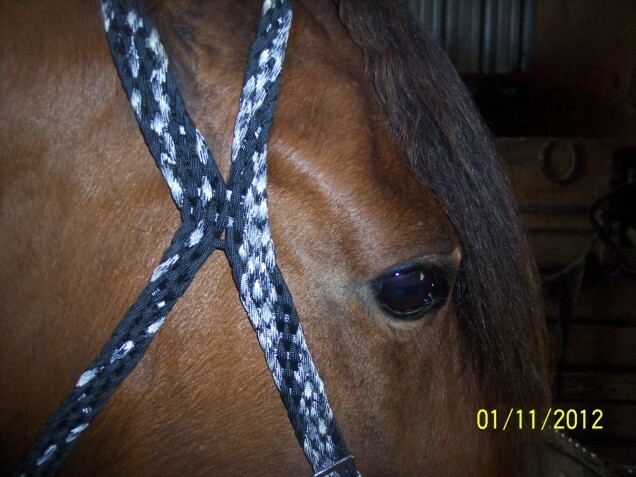 If you do not see exactly what you are looking for on this website, contact me and we can start planning your custom braided tack. These reins are flat braided at the ends so that you can adjust where they fit on the bit but the rest of the rein is a round braid. Over the years I have had so many people come up here with split reins tied in a knot. These reins have a keeper so it does away with the knot and makes it easy to adjust for other riders or other horses. I love the way these reins feel in your hand! They come in different colors and we can adjust the width and length of these reins for your preference.